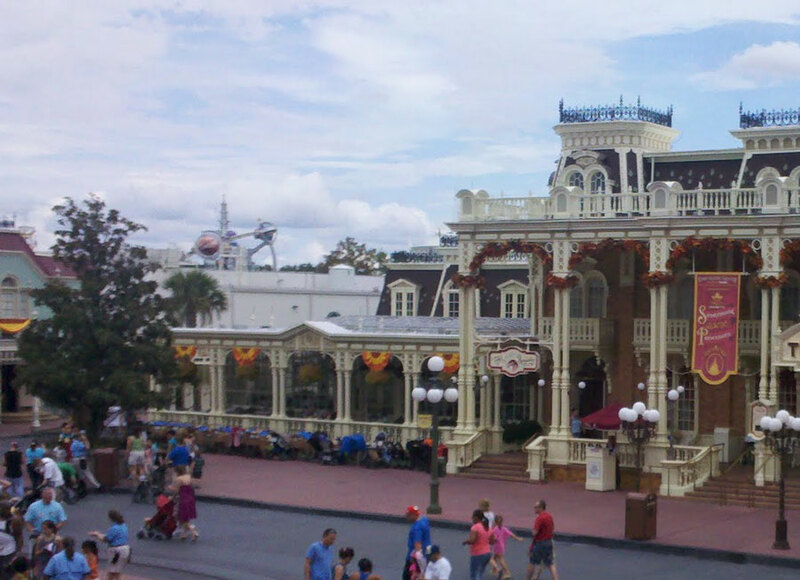 If you haven’t yet seen it, start at part one of our exploration of Mickey’s new Town Square digs. We’ll going into more detail down below. For those who already saw it, welcome back and away we go. 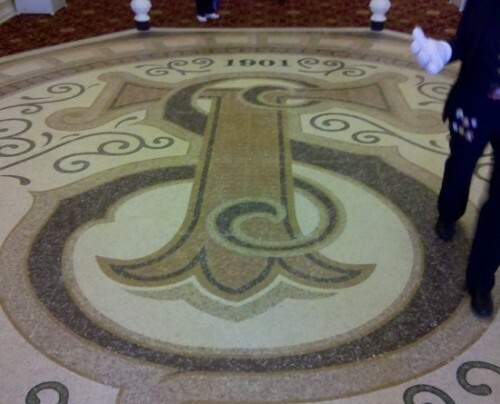 Starting in the lobby, there is a great new ‘mosaic’ on the floor. The 1901 is a hidden reference to the year of Walt Disney’s birth. Thankfully Disney has resisted the urge to use every square foot of the lobby for selling things. 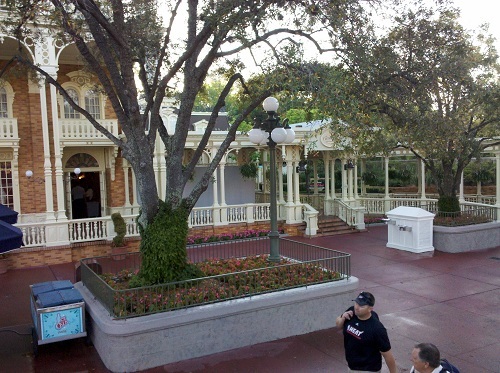 The lobby, as it stands now, has a good balance between the waiting area for Tony’s restaurant, the photo shop, and the entrance to the meet and greet queues. The flow worked nicely. If you look in the door of the queue to see how long the wait is, you’ll get a pretty good feel for the Mickey Mouse queue. As I mentioned, it never grew over 10 minutes the Saturday we were there. 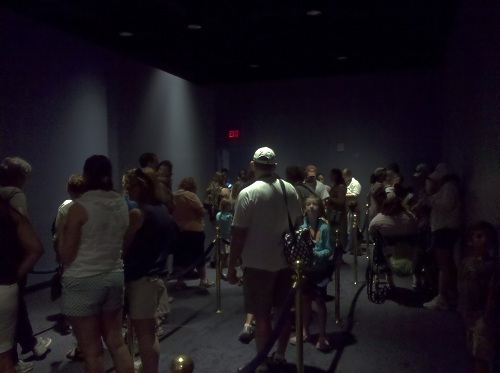 But if you look to the back and see no queue for the princesses, keep in mind that there is an extra hidden room that hides a wait of up to 35 minutes (depending on Fastpass volume). I know the princesses are only in this location temporarily, but this blue room is worse than soulless, it’s mind numbing. Can they at least bring in one or two monitors and some wall art like they had in the old location? Better yet, have a play area for the kids and a queue for the adults like at Pooh. 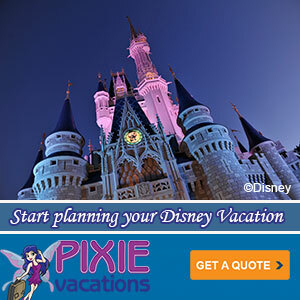 Once you get through this area, you may have an even longer wait in the single room for the Princesses. Which brings me to my other chief complaint about the Princess Meet and Greet. Because there is only one room for the Princesses (as far as I could tell), they only way to speed up the queue is to reduce the interaction time with each Princess. The day I went the queue was pretty small (never longer than 30 minutes) so the the Princesses were generous with their time. But I can see pressure turning this into a photo factory. Will Mickey and Minnie Photo-Op say ‘No’ to Late Guests? 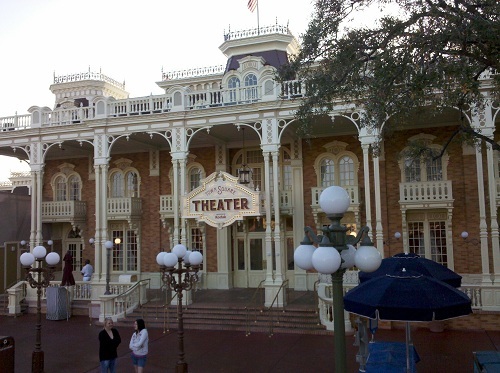 As you may have heard Mickey and Minnie are moving to a new meet and greet location in Town Square at the recently renamed, but not yet open, Town Square Theater. We posted recently about how this will be the first character meet and greet to feature a Fastpass option. There is still quite a bit of construction going on around the area, but rumors of exactly how the Fastpass system will work are beginning to circulate.